This page is a short reminder about this. The first thing you do when you create a document for the first time, is to SAVE IT. Saving is done by pressing CTRL-S or the FLOPPY DISK button in the Ribbon. But CTRL-S is the quickest way. The Save As Ribbon will appear. 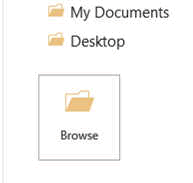 If you don't know where to save it, then press the BROWSE Icon on the bottom. 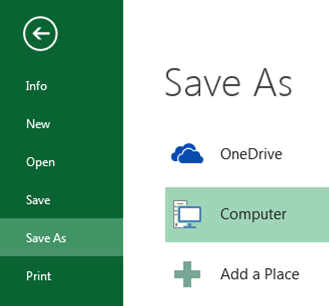 This will open the following SAVE AS menu and allow you to SELECT the LOCATION of where you want to save your file. 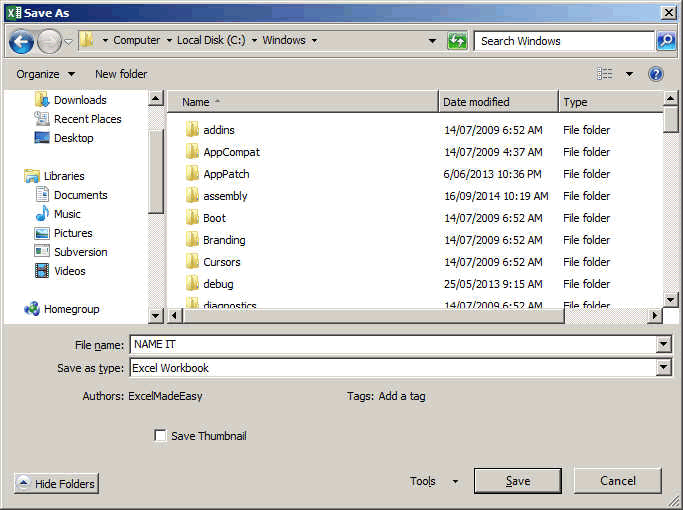 NAME and SAVE your document where ever you want on your disk, cloud, USB stick, portable Hard disk. To protect sensitive data or just to have some privacy, you need to know that you can encrypt any document you create on EXCEL, WORD, POWERPOINT. 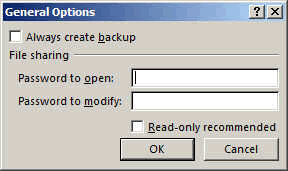 This is done in general option in the Tool next to the save button. Use it wisely and do not forget your password.